When one stove burner won’t turn on, it can wreak havoc with cooking and meal preparation. Even worse, a non-working burner may pose a safety or fire hazard. In some cases, you can fix minor problems yourself; however, a trained appliance repair technician should always handle major repairs, whether your stove is electric or gas. The problem may be anything from a bad switch to a loose connection to an element that isn’t working properly. If your stove is gas powered, be especially careful to avoid a potentially dangerous gas leak. Always keep safety in mind when working with your stove or any major appliance. Almost all modern gas stoves have an electronic ignition system and sealed burners. If you hear a clicking sound when lighting the burners, then your model has an electronic ignition. If you have a stove with pilot lights and open burners, troubleshooting a dead burner may be more complicated. In this case, it’s always safest to call a repairperson. For models with electronic ignition systems, start by cleaning the spark igniter. This is a small white nub made of ceramic near the burner’s base. Also use a needle to clear out the burner holes, which may easily become clogged and prevent the burner from lighting. On some models, the burner cover (the ceramic disk in the center of the burner) must be properly aligned for it to light. Check its position to see if this corrects the problem. If it doesn’t, the challenge is either the igniter, igniter switch or the igniter control module. These problems are virtually impossible to diagnose without the help of a professional. A service technician with the right tools and know-how can pinpoint the cause and repair it quickly. Electric stoves typically have one of two types of burners, either the plug-in or the direct-wired type. Plug-ins are simple to inspect and replace. However, direct-wired models require lifting the burner element up and then opening the white porcelain connector with the help of a screwdriver. Before checking a burner on an electric stove, be sure to turn the appliance off, unplug it and turn off the power at the circuit breaker for safety. Read the manual that came with your stove to learn how to safely remove the burner element. The first step for either type of electric burner is to pull it up and reseat it in position. This can re-establish the proper connection. After reseating it, turn it on and see if it heats up. If not, look next for signs of wear or loose connections. If the wiring shows signs of damage or age, it must be repaired either by purchasing a new element or having the wiring fixed by a service tech. Each burner has its own temperature control. If this is damaged, it can prevent a burner from heating up or allow it to work only at a single temperature setting. The process of replacing the thermostat is complicated and best done by a trained technician. 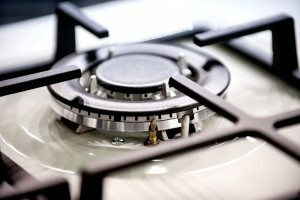 If you have a glass-top stove, you won’t be able to do any troubleshooting at all, thanks to the closed nature of the design. 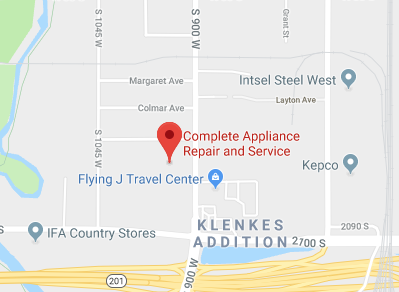 Whatever the problem, contact the professional appliance repair experts at Complete Appliance Repair, serving Bountiful, Utah, and the surrounding communities. As northern Utah’s premier appliance sales and service provider, their friendly and experienced staff will have your stove burner repaired and back to cooking in no time. This entry was posted in Blog and tagged DIY Stove Burner repair, Stove Burner Repair on August 18, 2015 by admin.